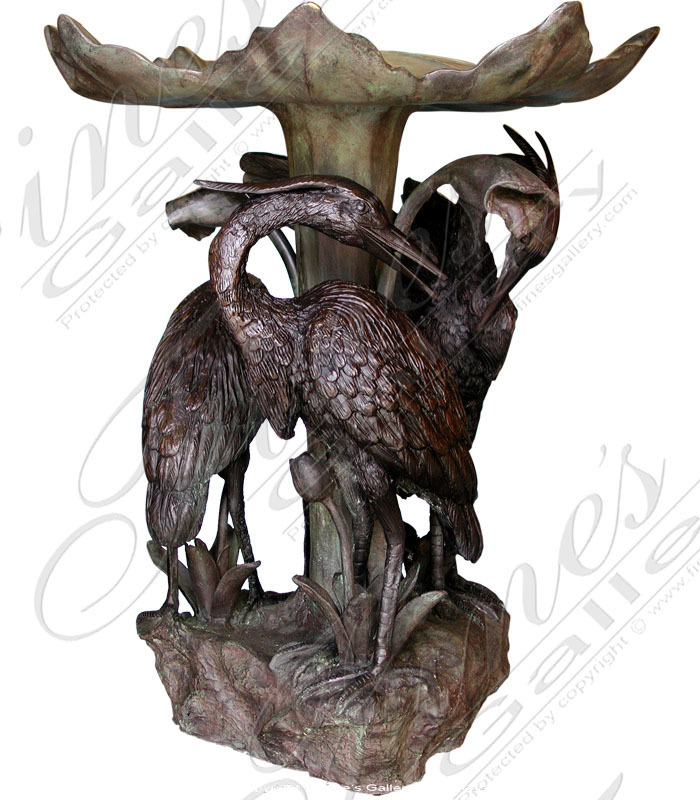 This ornate bronze fountain will add luxury to a garden or outdoor setting with its artistic beauty. Three expertly sculpted bird statues encircle the base of a leaf basin while waterfalls cascade all around. Please contact us for personal assistance. 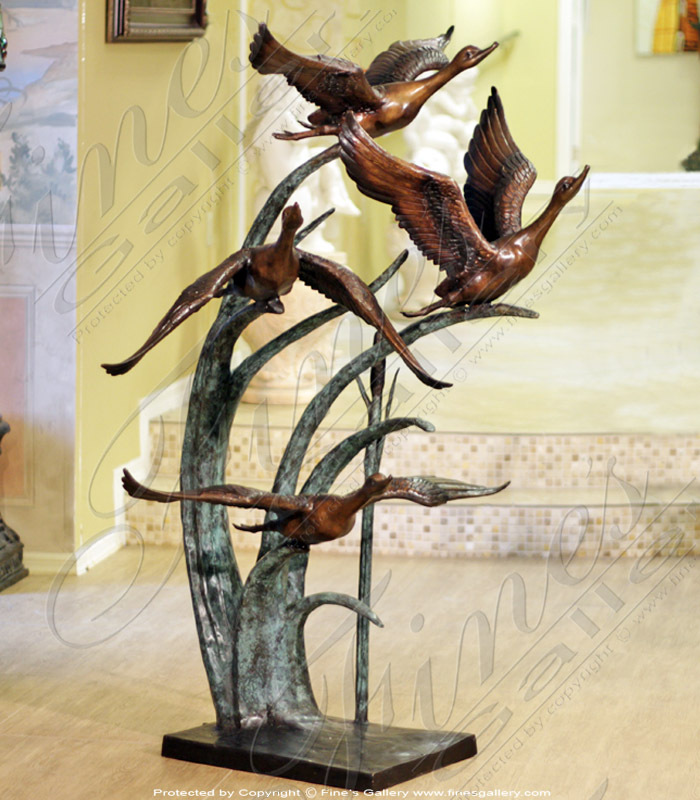 Expertly crafted and finished beautiful bronze fountain depicting four geese taking flight. If you require additional information for this product please call 1-866-860-1710 and talk with a sales representative at anytime.